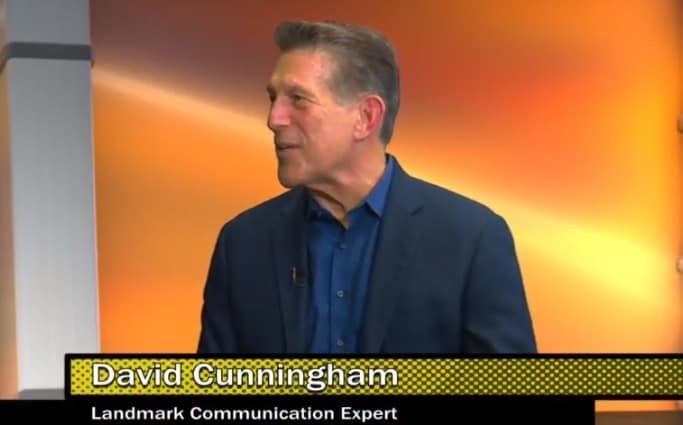 Landmark Forum Leader David Cunningham talks about how to embrace integrity and improve your performance, and how to apply many other distinctions which give communication and power. 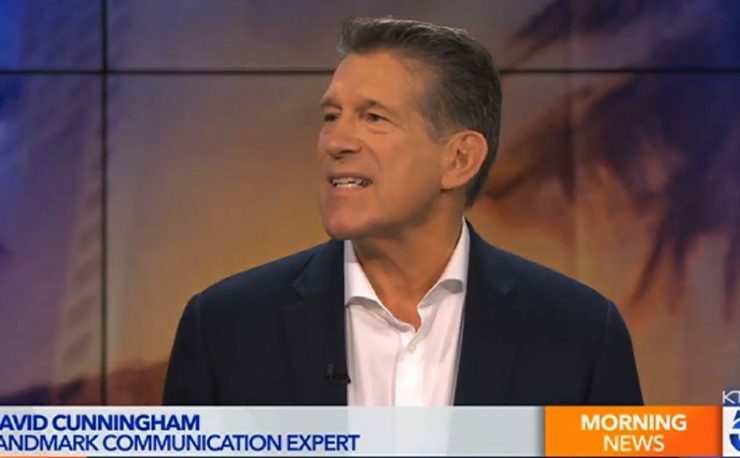 CHRISTINA NICHMAN: Our guest today is David Cunningham, who is an expert communicator, seminar leader for Landmark, a personal and professional growth training and development company who has more than 2.4 million people use his program to cause breakthrough in their personal lives. Today we discuss tips from bracing integrity in your business and life. Find out more about Landmark at LandmarkWorldwide.com. Hi, David. Welcome to Savvy Business Radio. How are you this afternoon? DAVID CUNNINGHAM: I’m great. Thank you. CHRISTINA NICHMAN: You bet you. I’m really, really blessed to have you out here today. 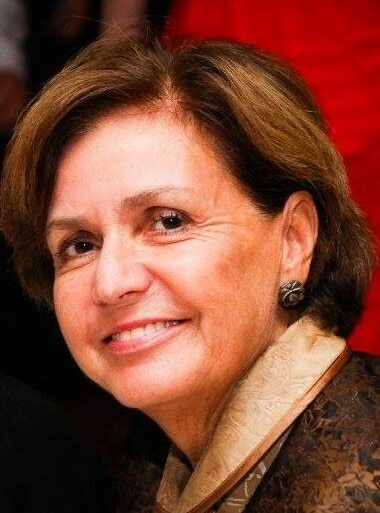 You are the senior program leader for Landmark, a world renowned personal development company, been helping people for many years in business and in their personal lives. We had on someone recently that we talked about. You know her very well. Who talked a little bit about some of the work you guys are doing. But you are also a business owner and you’re going to share some of your wisdom with regards to clarity, commitment, and using your calendar appropriately for your business. Before we go there, share with the audience a little bit about your back story. DAVID CUNNINGHAM: Well I’ve been with Landmark now for 35 years. And I have been leading programs for Landmark around the world, been able to work with literally hundreds of thousands of people around the world and have loved the difference we’ve been able to make in their performance and their effectiveness. It’s just been really thrilling to watch over the years. CHRISTINA NICHMAN: Wow. And what really detracted you to Landmark in particular? DAVID CUNNINGHAM: Well I had been working in many fields. I have a background in social work, so I had been working particularly with abused children, with youth at risk, with special needs kids, with families in crisis, etcetera. And I had been working on a lot of issues like that as well as hunger, the AIDS epidemic, several different issues. And then I came to Landmark myself in 1983 for my first program as a participant. And as I sat and listened I realized that the work they were doing here went to the heart of the matter of everything I was concerned about and what would have people be effective, what would have people have their lives be able to work, and literally what would make a difference in people’s relationships around the world. So it was kind of a no-brainer. This is like at the heart of the matter. So let me come here. CHRISTINA NICHMAN: Now working with Landmark isn’t just good for your business, it’s good for everything in your life. It’s personal relationships really building deep connections. Is that true? DAVID CUNNINGHAM: Yeah. It’s about full self-expression and being a full power. And at the same time, loving your life. It has everything to do with your relationship with yourself and your confidence, your relationship with yourself, like your being complete with the past and at peace with life and powerful in life. And then at the same time, our lives are lived with other people, so all of our work is about then being effective with other people too. Because if you can’t be effective—no matter how confident you are with yourself, if you can’t be effective with other people, you’re not going to be effective. So it’s both sides of that coin, your relationship with yourself and your effectiveness at working with people in the world and getting things done. CHRISTINA NICHMAN: I like that you mention that and I think that’s something in this rough and tumbling world where we’re going 300 miles an hour, we have all these modern conveniences, our cell phone, TV, you name it we got it. I think we can become separated from ourselves. And get me if I’m wrong, is that where it all starts, really getting connected first with building that relationship and getting connected with yourself first? DAVID CUNNINGHAM: I don’t think it’s first. I think it’s all at the same time. The problem with if you relate to it as first, then people will then go work on themselves and spend time just working on themselves without being effective in life. I like to say it’s all at the same time. You cause your relationship with yourself, at the same time you’re causing your relationship with others. It just happens all at once. CHRISTINA NICHMAN: That’s interesting. This recalls for me, David, I started about a year and a half ago my journey to building my health back up to optimum health. And like most people, if you have gotten yourself in a sticky situation where your health is less than perfect, it’s not an overnight journey. It takes time to build yourself back up to good health and optimum health. But what ended up happening is all parts of my life started to benefit from that one thing. First bringing in the clean foods and eating better and then adding a little movement, sleep, all of that. My relationships started to get better. My work was more efficient. And I’m getting what you’re saying here by taking all of the bits just working on yourself and working with others and being more efficient, it comes together to congruent whole to make everything better in your life. DAVID CUNNINGHAM: It does. It’s very important that we don’t get isolated or we don’t—some people for instance lack confidence they would say. And so they go to work on building their confidence, but then while they’re building their confidence, they are not actually being effective in their performance. Build your confidence while you’re building your effectiveness and your performance. Again it all happens at one time, like you’re saying. I think that’s really important. CHRISTINA NICHMAN: Yeah. And so during this time, I’ve heard a lot of people say that they are not happy about Christmas because they overspend. My family was no exception. During Christmas it was kind of like who could out buy the next cousin, aunt, or uncle in nice gift giving. And it became really a stressful time of the year. Now much of my immediate family is passed on and those traditions have gone by the wayside and we don’t get together anymore for those Christmas gift giving extravaganzas. But one thing that I’ve heard from a number of people and has happened to me as well in our family is the overspending leading to credit card debt and more stress. And you have a recipe for people, the three C’s to help them get passed that credit card hangover. Share that with our audience. DAVID CUNNINGHAM: Well, the first thing that people have to deal with first is what are they really committed to in the first place, right. So the overspending had some commitment behind it that was hidden. There’s really a commitment that the other person is acknowledged that the other person gets—the gift is an expression of your relationship with them, so that if you actually get down to the core commitment that was behind the overspending in the first place, then you don’t need to overspend because you figure out, hey, I can let them know they’re important to me. I can leave them acknowledged without overspending. So the first most important thing is to get the core commitment behind that was driving the overspending, get that clarified, and then you won’t need to overspend. That’s number one. That makes sense, right? CHRISTINA NICHMAN: Yeah. It makes complete sense. In fact, this recalls for me one Christmas where I was a bit tight in the pocket, alright very tight. And I was not able to buy the gifts I used to buy. And I ended up getting the idea to make them. And wow, people were so much more appreciative of those gifts I gave that year that I made with my own two hands. I started making jewelry. I just got a book on how to make jewelry and just started to have fun with it. And then personalizing my specific jewelry I was going to give to someone to their taste and color and their preference, what they might like. And it was so much more well-received than going out there and spending all this time at Macy’s and buying these expensive gifts that probably they gave to someone else. DAVID CUNNINGHAM: For sure. And that’s called being creative, right. Sometimes that’s just because there’s a way it’s always been done. The way it’s always been done is you go out and buy gifts for people, so you don’t even think of trying something else. But if you step back and go, okay I still have this commitment called they’re acknowledged, I don’t want to spend the money, then you get creative and you find other ways to let them know they’re acknowledged without spending money. CHRISTINA NICHMAN: Yeah. And tell me if you’ve noticed this, David, in your working with people and in life in general that sometimes when things become tough in life and there are struggles actually it brings out the best in you because it causes you to go deeper and to do that thing we were just talking about called being creative and finding ways that maybe you didn’t imagine you could do this, be more confident or go do this thing you’ve never done before. DAVID CUNNINGHAM: That’s right. And the other thing that’s really important is then being in communication. Because sometimes especially when we’re under stress or something is not going our way, we tend to pull back and try to deal with things ourselves versus being in communication and including other people in what we’re dealing with. So when you include other people you find that you have partners and allies out there. People love to participate. So even if I was going to get creative and make the gifts myself, letting other people participate with me in that also gives them a chance to contribute to what I’m committed to as well. And so then you find out you have partners and allies out there you didn’t even know you had. CHRISTINA NICHMAN: Yeah. And then it gets you all excited about okay, maybe this time around we’re not going to exchange gifts through a store. We’ll all get together and make food together or knit a quilt or whatever they call it. Just do something that sharing community-based that will bring you all together in a different way. DAVID CUNNINGHAM: That’s right. That is so fulfilling because I think what everybody really wants is relatedness and connectedness. Sometimes we get off track from what is really there, which is somehow wanting to be connected with other people. Finding ways to connect, especially during the holiday season. Inviting other people to connect with us, I find one of the things that works is to go first. A lot of times we wait for other people to reach out, other people to suggest something, other people to come to us. I find that it really works just to go first. Somebody has to go first. And if we go first then guess what, we can get the whole ball rolling. And again I’m often surprised by if I go first how many people do want to participate and do want to play. CHRISTINA NICHMAN: Absolutely. And it’s true. I think at this time we get so stuck in the idea of the things we have to do. Oh no, but I have to pick up the kids and I have to go and do the Christmas shopping and get the tree. And then even getting the tree and decorating for Christmas, you know, the backyard, front yard, whatever, it becomes a source of stress. When really this could be bringing everyone together saying hey guys, we have a lot on our plate but maybe we can band together and find ways to decorate where this isn’t a stressful event, it’s actually fun. DAVID CUNNINGHAM: Yeah. And I think that’s why it’s useful to ask myself but then also ask the other people that I’m having the holidays with. By the way, if we just pretend we’re talking about being at work right now. Ask the other people I’m doing a project with. Let’s go back to the holidays. Ask the other people, what is it that’s important to them and what really matters to them about what we’re doing. So that rather than getting caught up in the activities, we’re really no, this is why we’re doing it. This is what matters. This is what’s important to us. So asking others what’s important to them and what matters to them allows them to come together and make sure we’re fulfilling a common commitment here. CHRISTINA NICHMAN: Yes. And you just touched on the holiday thing, but actually same about work. Many years ago I was working as a consultant with a company and they started to run during the Christmas holidays into this really stressful event of oh my gosh, I don’t think we’re going to make the order because things aren’t getting completed in time and people are going to be so angry at us, but we also need to get paid so we can keep things rolling. They basically said, well we’ll just tell the client everything is ready even though it’s not, so we get the rest of the money and then maybe we can push things along and get it out two weeks later. And I was like, no, no, no. If we do that and we don’t get it out, we get it out even later, people are going to know we lied to them and that’s going to be ten times worse than just telling them our current predicament. And we did and you know what, most people were really understanding. They were like, we get it. We’re going through the same thing. But if you don’t tell them and then later on it comes out, it could actually be much more detrimental to your relationship business wise and personal. DAVID CUNNINGHAM: For sure. And one of the things that people, when we have some agreement or some promise made with people, if we’re not going to be able to keep that promise, a lot of times we deal with that as an issue of about ourselves and we think we have something to feel bad for, so we try to hide it or make up for it. Like okay, let me work double time to try to make up for it. Versus no, if we’re not able to keep a promise we’re just not able to keep a promise. It doesn’t mean anything about us and it doesn’t mean anything about our worth. It just means we’re not keeping our promise. To be able to communicate about it openly almost always the other people then just work it out with us rather than if we try to hide it. CHRISTINA NICHMAN: Yeah. Oh my gosh, absolutely. I recall one of the very, very first events Savvy did in the city, it was a networking event. We were going to do this all day thing and I promised in the ticket thing that we’re going to provide lunch for everyone. And the tickets were not what I expected them to be and the day came and I was looking like oh my gosh, with all the expenses of the room and dah, dah, dah I’m not going to be able to provide lunch. I was so ashamed. I felt horrible. But I said, you know what, there’s nothing I can do but fess up and say I was wrong. And guys here’s what’s up, I am not going to be able to provide lunch, but I apologize. I’m willing to give $10 of my own money though to each individual person. And they were just like, oh please. We’ll just go out together and have drinks. No biggie. It just turned into a big laugh thing and they were just like hey, no please. We came here to learn, not to get free food. But that was my own guilt and stuff I’m putting on myself that I had to fulfill it. Once I just came clean, they were like whatever. DAVID CUNNINGHAM: I think that’s really important. In life, almost always our experience of something is not given by the facts of the situation. The facts were you promised lunch, then you didn’t have the sales you wanted to, so you didn’t have the money for lunch. Those were the facts. We add something to those facts. Like oh I have something to be ashamed of or, this is a failure. So our experience comes from what we add to the facts, like the story we make up about the facts versus the facts themselves. You can I can keep separate. Here are the facts, here’s what happened, and then be responsible for what we add to those. Oh, this is something that I have to be embarrassed about. No. I don’t have money for lunch. I have something to be embarrassed about isn’t a fact. It’s a story about that fact. When you keep those two separate, then you can deal with what’s so and be in communication about it, and then you always find solutions that way. 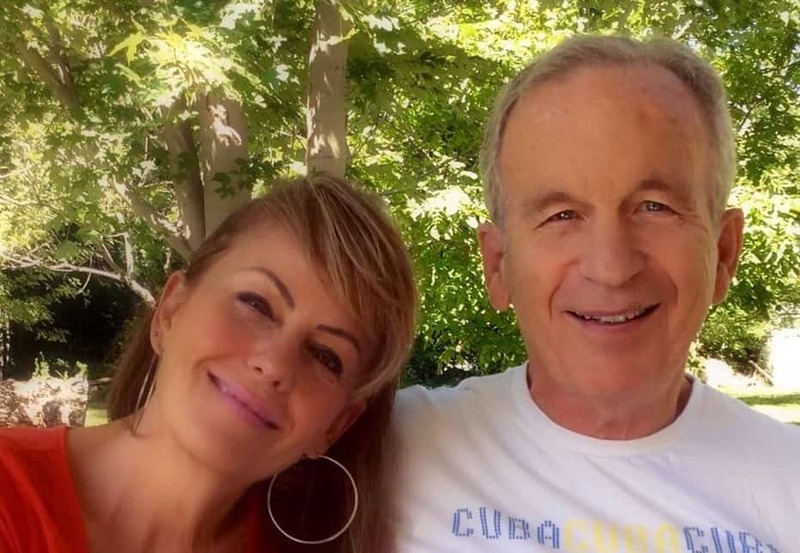 CHRISTINA NICHMAN: It’s interesting, David. How much of our lives are lived through the stories in our head that are actually not reality? It’s probably quite a bit of our lives, isn’t it? DAVID CUNNINGHAM: I would say like 99%. At least 99% of our experience of life. Someone says, I am not satisfied with your report. That’s what they say. That’s a fact. We add to that, they don’t respect me or oh, I’m a failure or oh, they’re not going to want to work with me in the future. They didn’t say any of that. All they said was, precisely what they said was, “I’m not satisfied with this report.” If I deal with that, oh they’re not satisfied with the report, then I’m dealing with what I need to deal with. If I add a story, oh they don’t respect me, then I’m going to be trying to work on them respecting me, but the report is never going to get done that way if I’m working on them trying to respect me. I’m working on the wrong thing. CHRISTINA NICHMAN: Oh my gosh. So how do you keep from adding the story, the sidelines of what’s not necessary? How do you keep your brain in the fact of what’s really going on here and not the side stories? Because I know for myself I’m probably not even realizing I’m making up a story at that moment. DAVID CUNNINGHAM: Yes. That’s right. Everybody always is. That’s what people don’t notice. We always are. It’s that little voice in our heads. If we’re awake, it’s talking and it talks about everything. A total stranger can walk by us in the street and that voice in our head will say something about them. We don’t notice that, so we listen to that voice like it’s the truth. We listen to that voice like it’s what’s real. All you have to do is notice there’s a difference between what’s happening and what that voice is saying about what’s happening. So first you have to notice, there is that voice and it’s talking about—like it even talks about the weather. You wake up in the morning, you open your eyes, and that voice says something. Good weather, bad weather. Notice it doesn’t say, weather. It always adds a story about it; good weather, bad weather. So just being aware that that’s happening and then you can hear, oh here is what’s happening and here’s what the voice in my head is saying about it. Sometimes what I do if I’m particularly stuck is I’ll take out a piece of paper. It’s really simple. Take out a piece of paper, draw a line right down the middle from top to bottom. Top of the left-hand column I write what happened. Top of the right-hand column I put story. And then I just put down under one column exactly the facts. In any other column, everything I made up about it. And just separating the two gets you free again. CHRISTINA NICHMAN: Wow. This is amazing to me because I know myself. I often have realized later on, oh my god, I told myself a whole story on that and that completely never happened like that. You’re right. Sometimes just writing it down, what I had gotten into the habit of doing was doing a thankful list or what I’m grateful for. And it just puts into perspective, even the things I don’t like in my life you can find some—you know, not everything, but a lot of things you can end up being grateful for because they’re blessings sometimes in a disguise. Like when many years ago I lost my job, but then I got a better opportunity or this happened and that client left but then a client who pays even more and is even more loyal shows up. DAVID CUNNINGHAM: Yeah. You know, that’s one of the things by the way that gets you connected with other people the fastest. If you ever feel disconnected from someone, just like they’re somehow not connecting, you’re not in sync, whatever, find something to acknowledge them for. And literally if you just—there’s always something you can find to acknowledge another person for. And literally within a minute if you just take a minute and acknowledge the other person, by the end of that minute you’ll find yourself connected, in communication in a whole new way and able to work together. What you said, expressing your gratitude or acknowledging another person leaves you really powerfully expressing your bottom line. CHRISTINA NICHMAN: Yeah. 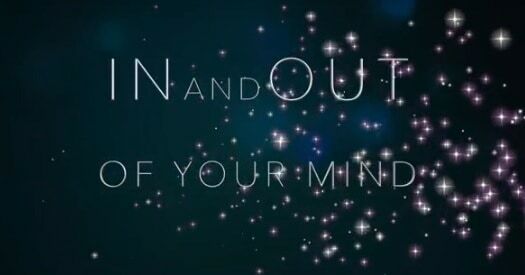 You mentioned something when you woke up and you said oh the brain starts talking and saying all of this chatter and it’ll say whether good or bad or whatever. But I’m thinking to myself it seems like that chatter seems to put things into two buckets, either good or bad. And it’s interesting how our brain classifies things being a good or bad thing when it could just be, as you were talking about that report, just fact. Why does our brain do that? Why does it choose to put things in those buckets? DAVID CUNNINGHAM: Well that’s just the language that you and I were born into. We got born into a world where everybody before we were born, everybody was already talking, and they just talked about life that way. The weather is good or bad. The cheeseburger is good or bad. The service at the restaurant is good or bad. What you said was right or wrong. What my boss did was right or wrong. It’s just the way the world was talking. So what gives us our view of life is the language we have. We started seeing life through that language. We started looking at life like, oh everything is good or bad. Everything is right or wrong. Just noticing that that’s not in life, that that’s all added to life, if you separate that out, the story of right or wrong, good or bad, like this person just said something to me. I could worry about whether that person is right or wrong. I could worry about whether they should have said it or shouldn’t have said it. I could worry about whether it was fair or unfair. Or I could just have it be what they said and relate to it for what they said. It gives you a tremendous capacity to accept life—accepting life is having life be exactly what it is with no judgment. When you accept life, you can be powerful with it. CHRISTINA NICHMAN: Yeah. Wow. And this recalls for me when I’m hanging out with children how receptive they are to what is. And they’re not putting that story. I think it’s something that we’re probably learning more and more to put into buckets and decide good and bad and make up all these stories. But when you’re real little, things just are. I remember my little sister at seven years old drew a picture of me and I was like, oh okay, so what are those things on my face. She’s like, those are your zits. But there was no malice. There was no like I’m trying to hurt you or something, it was just fact. You have zits on your face and I drew them because that’s accurate. DAVID CUNNINGHAM: That’s right. So she didn’t have a problem with it, did she? It was just what was so. That’s right. CHRISTINA NICHMAN: And I could feel when I was talking to her that she wasn’t trying to be nasty about it or, look at you, you have zits. But as teenagers and then into adulthood we take offense to that, that you’re paying attention to my poor quality of skin or whatever. And that’s what’s really awesome. I think that’s what it’s bringing us back, to our original self of just seeing life what is and leaving out the story of what we make up in our head and that we could have it be so much more enjoyable and I’m guessing, David, see the opportunity that we probably wouldn’t see if we were stuck up in our head with all these stories. DAVID CUNNINGHAM: That’s right. And you know the other thing for us to notice is that every argument people have is about what’s right and wrong, what’s good or bad, what should or shouldn’t be. Just think about it. Every argument we ever have somebody says you should be home at 6:00, the other person says 6:30. Okay. There’s an argument. Somebody says that it’s right to go visit these parents on the holidays, the other person says no, we should go see the other parents on the holidays. Argument. So what’s important to get is, we all have different views of life and maybe no view is the right view. They’re just different views. And if we can, rather than argue about who is right or who is wrong, maybe we could—it seems like in the world there’s a lot of the word being used right now is incivility. There’s a lot of new nastiness in the world, new kind of negative rhetoric in the world. Because the priority has become who is right and who is wrong versus what if the priority shifted back to being related, being connected, even love being present in our homes that if we had that be the priority so that what we were there for was to make sure that people were left honored, respected, empowered versus debating who is right or wrong. Maybe that debate isn’t so useful anyway. CHRISTINA NICHMAN: Yeah. And what I’m noticing and you bringing that to light is really it’s just people trying to force you to their point of view. And it’s interesting because people’s point of view don’t always stay the same as they grow. A point of view I had in my twenties is not at all in many respects on different topics the same as it is today in my nearly fifties. So to say that people must think like me, well you might not think like you tomorrow or next year. So why do we have to force people into our frame of thought? I think it goes back to the letting go and just seeing for what is instead of trying to force people to your point of view at this moment. DAVID CUNNINGHAM: Yeah. I like to get interested in, well what is of concern to that person? Like what’s important to them that has them have that point of view in the first place? So it leaves me interested in the person rather than arguing with them. CHRISTINA NICHMAN: Yeah. Exactly. Because trying to get us all to think the same well would we really want a life where everyone thought exactly like us? I mean that would be kind of boring, a bunch of us. What makes it flavorful and exciting is all the different points of view and getting to see why is it important to that person, as you said, their point of view, their way of looking at life, and saying okay. Because often when I sit down, and this is wonderful about Savvy here is that when we sit down, we have conversations with everyone that comes on, everyone has a unique point of view, even though it’s all about business. There are different ways to come about business and life that everyone has their own unique perspective. DAVID CUNNINGHAM: And then if you take—again part of going first, one of the things that’s it’s important to go first in is take an interest in the other person’s point of view. Take an interest in what the other person is concerned about, committed to. And when the other person gets that you’re authentically interested in their view, then the most amazing thing happens. They get interested in your view. If you tell them their view is wrong, then they’ll tell you yours is wrong. But if you actually get interested in theirs, they’ll get interested in yours and it opens up creativity and dialogue in a whole new way. CHRISTINA NICHMAN: You’re right. Instead of going that downward spiral of screaming and hollering about trying to prove who is right, it gets into, well tell me more. I want to understand that. CHRISTINA NICHMAN: Yeah. You’re right. By going first, because oh no I’ve got to prove to you you’re wrong, then of course it goes back and forth and you all go nowhere except screaming and hollering and pulling each other’s hair out. DAVID CUNNINGHAM: That’s right. A conversation is made up of both people speaking and listening. A lot of times we put the emphasis on, we think the important part is what we say and our talking versus listening. I find it’s at least 50/50, at least equally important to what anything I’m going to say is my listening to the other person. Because that’s where communication happens. Listening is important. The other person having the experience that you heard them, then also has them want to hear you. CHRISTINA NICHMAN: Yeah. And sometimes it’s minimum 50/50, but sometimes maybe the other person needs to be heard more at this moment. Because there are times when my husband is a little bit more upset. Well maybe I need to just not talk, let him string it all out and put all his feelings on the table, and then later on maybe I can say something. Sometimes the other person needs just to be heard and you just need to listen. DAVID CUNNINGHAM: Yeah. A real clue for that, by the way, is if the other person repeats themselves. If they repeat themselves, guess what, they didn’t have the experience of being heard the first time. If people have the experience of being heard, they don’t have to repeat themselves. If we have somebody around us repeating themselves, for sure we’re not listening to them. CHRISTINA NICHMAN: Great clue. Well we could go on for hours. This is so important. I want people to find out more about you, Landmark, and how they can get in contact with you. How can they do that? Do you have any upcoming events you’d also like to share with our audience? DAVID CUNNINGHAM: Well we have events. We’re in 21 countries around the world in about 60 different cities. So the best thing to do is to go to the website LandmarkWorldWide.com. They can find out all the programs we have all around the world. CHRISTINA NICHMAN: Fabulous. Well it couldn’t be easier than that. I have to thank you again, David, for sharing, especially we’re entering the holiday season here, Christmas, New Year’s, and then after that will be the wonderful Valentine and all of the things we bring upon ourselves sometimes a little bit of stress. But it’s not necessary if we just come together, pay attention to what’s stories, what’s not, and listen to each other. We can actually have a very exciting holiday. I just thank you again for coming to share your wisdom. DAVID CUNNINGHAM: It was fun to be with you. Thank you so much. CHRISTINA NICHMAN: You bet you.